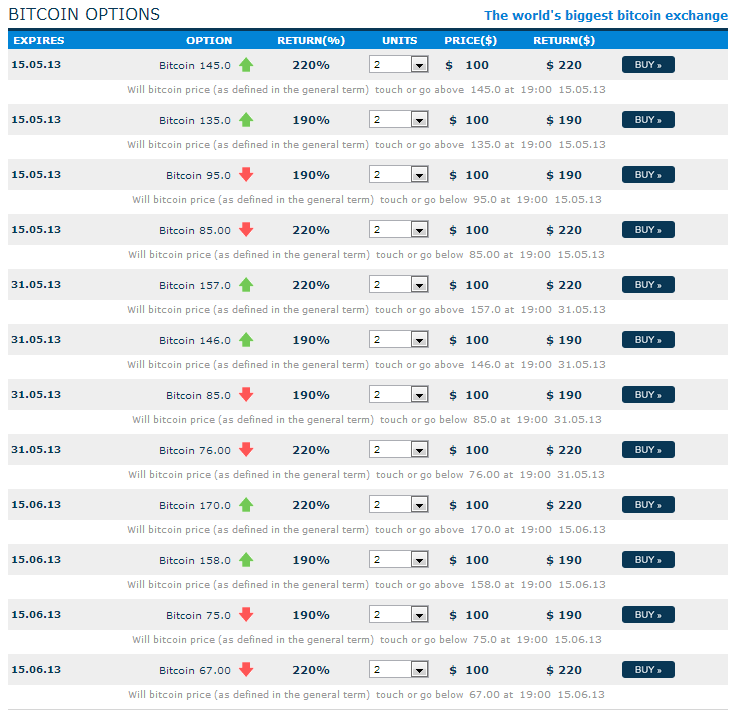 AnyOption became the second broker to begin offering bitcoin binary options trading today. Similar to binary options that were launched by IG Group, AnyOption’s product is based on longer term expirations, rather than the typical short term (as low as 60 second) offering that have become prevalent among binary options lately. In a statement AnyOption published, it stated that “while traditionally we deal with currencies and stocks traded in household markets, we’ve identified that the public interest in bitcoin trading has risen and have decided to facilitate it within our state of the art one touch tool”. AnyOption was listed as the second largest ‘pure’ binary options broker in terms of monthly volumes and deposits in our Forex Magnates Q1 Industry Report. The unregulated broker was affected along with other firms in last month’s Italian IP banning. In that instance, Italian financial regulator Consob led a court enforced decision to have local ISP’s ban the IPs of unregulated binary brokers that were marketing unlawfully in the country. As discussed before, bitcoin derivatives would appear to best suited as binary option products, rather than as CFDs which are the typical offering from forex platforms. Therefore, if prices continue to hold steady, we assume that several, if not all of the major binary option platform providers will begin offering bitcoin pricing on their systems. In regards to AnyOption, unlike the vast majority of binary brokers that are license or ‘white label’ platforms from binary option platform providers like SpotOption or TechFinancials, the broker uses a proprietary system. This allows them greater flexibility in customizing their trading interface to meet new demands in the market.